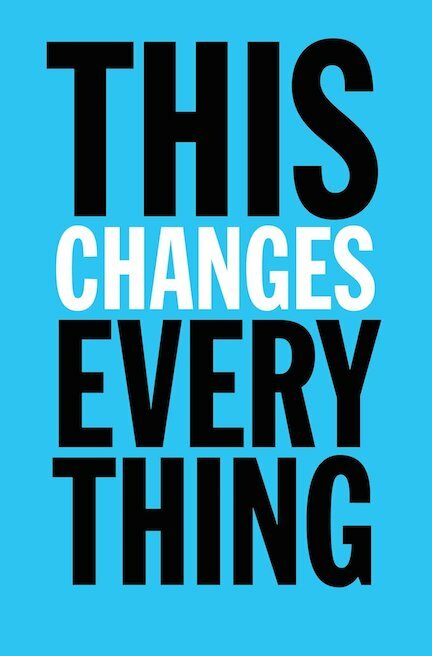 I'm really excited to read Naomi Klein's (author of No Logo) newest book, This Changes Everything: Capitalism vs. The Climate. Apparently it's "a book about climate change for people who don't read books about climate change". Sounds intriguing enough. And supposedly it's not depressing or fatalistic, and won't leave you feeling hopeless like other books in its genre. 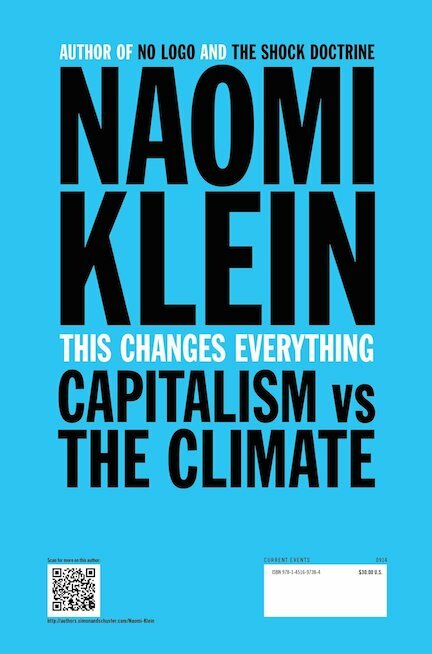 But coming from Naomi Klein, it's bound to be radical. I have a feeling it's going to be EPIC. And cause quite the stir. And I can't wait to get my hands on it! The book is available for pre-order now, and will be officially released next week, Sept 16th.